non-profit We Card Program, now in its 22nd year. Many of the proclamations recognize state level trade associations representing retailers and wholesalers – all who play a significant role both for We Card and the retailers they serve. The 38 Governors who have issued proclamations, recognition certificates or letters of support include: Alabama, Arizona, Arkansas, Colorado, Delaware, Georgia, Idaho, Illinois, Indiana, Iowa, Louisiana, Maine, Maryland, Michigan, Mississippi, Missouri, Montana, Nebraska, Nevada, New Jersey, New Mexico, North Carolina, North Dakota, Ohio, Oregon, Pennsylvania, Rhode Island, South Carolina, South Dakota, Tennessee, Texas, Utah, Vermont, Virginia, Washington, West Virginia, Wisconsin, and Wyoming. This September is also the launch of the availability of 2018 We Card materials. Retailers, dedicated to preventing the sale of age-restricted products to minors, order and pay for their signage, training materials and online training courses. “Whether it’s We Card’s Age-of-Purchase Calendar – a daily reminder age calculation tool – signs for the retail counter, or the hour-long online training course, retailers are making an investment to equip their employees with the tools needed to prevent illegal sales to minors,” said Doug Anderson, president of the We Card Program. The FDA has issued official guidance for Tobacco Retailer Training Programs. We Card’s e-learning training not only matches this federal curriculum but exceeds it with retail-focused emphasis on customer service, role-playing, and interactive gaming – earning an American Business Awards 2013 Bronze Stevie® Award as a Best Training Site. About We Card: The We Card Program, Inc. is a national non-profit organization that represents a unified effort among trade associations, retailers, wholesalers, and manufacturers. It was created 22 years ago to support retailers of tobacco and other age-restricted products. Individual retail establishments, as well as large retail chains, use We Card's educational and training services to comply with federal and state laws while working to prevent underage tobacco, e-vapor, and other age-restricted product sales. 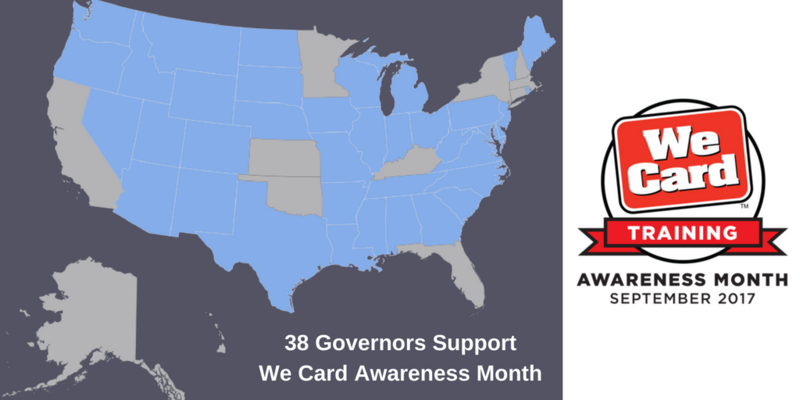 National and state retail trade associations, government officials, community groups and others also support We Card's ongoing efforts to educate and train retailers.